This is how I use the FujiRoid. In some ways this work is actually the most important work I do, but consider this before you go judging. I don’t do ANYTHING with my photography. Haven’t for years, so not like my work is going somewhere or means something at this point. It’s all for fun. Nothing more. What HAS changed is my book of choice. I’m finally off the medium sized journals I used for years and am now using a tiny, Japanese journal I picked up at JFK airport. These Fuji Wide 300 images are the perfect size. And I found a pen that allows me to write in tiny proportions, at least compared to normal sized writing, so the pairing of book and pen work well. Love the tangible aspects and the immediacy of what the instax + journal + pen affords you. Me too. Just shot another pack this week, black and white, which looks awesome. I just ordered a box of the black and white Wide film to give it a spin. Why is it that journals are so exciting? I absolutely love mine and work on them every day – a day without doing something in a zibaldone feels like a waste to me. I have an idea that, because I can be more relaxed creating photos for them, and writing whatever sh*t happens to be inside my tete, that this looseness will somehow feed into the photography I do at others’ behest (not much of that, TBH, but some). For years I’ve looked at photography as interesting in and of itself – I’ve tried not to, but I have failed. Now, though, whilst I’m just as thrilled and frustrated by it as I’ve ever been, I’m better able to add a love of something else into the mix. And your site is great for encouraging this, so thank you. I too think photography is better as a small piece of a larger pie. The journal is personal, not created for the masses, not created to gain anything other than insight. A rare thing indeed. I love this journal nerdiness we have here going on, lol. I have a lot of fun doing it too. My choice is a Midori journal, usually with a fountain pen with permanent ink. Narrower than a mid size journal but as tall. I find it perfect for Instax Wide and Mini. Those are nice. I’ll write on anything really. And pencil works, crayon, chalk. 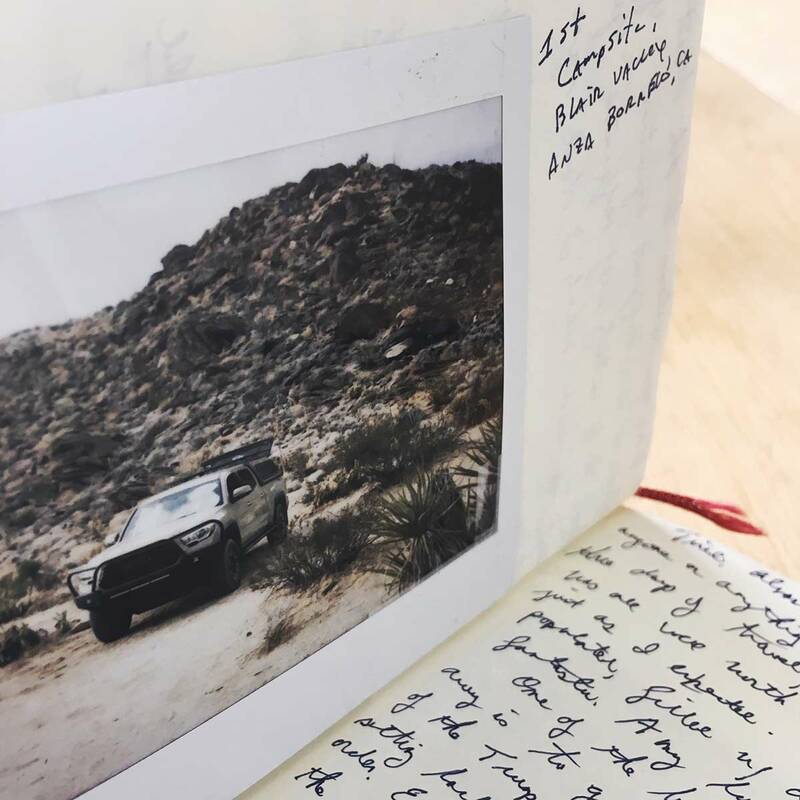 I like the idea of a journal and appreciate your willingness to share yours freely, but I don’t think I could ever get it together to begin journaling myself. I find it hard enough to find to find time to make photographs. Journaling is far easier, and often more rewarding, than making images. And the journal can be ANYTHING. Single words. Observations. Like yoga, you give it two weeks everyday and you will never stop.